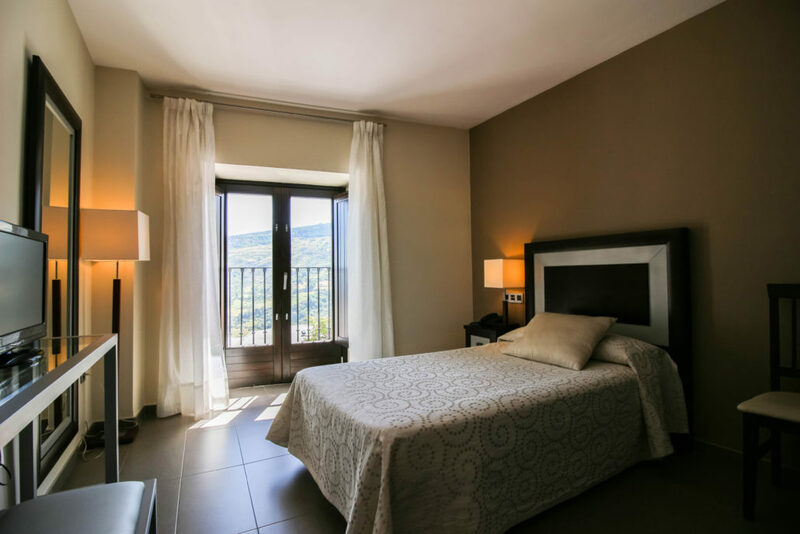 Tiled floors and stonewalls combine a rustic style with a minimalist touch. 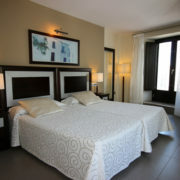 The rooms are elegant and comfortable. 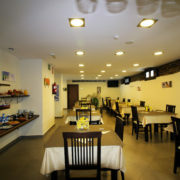 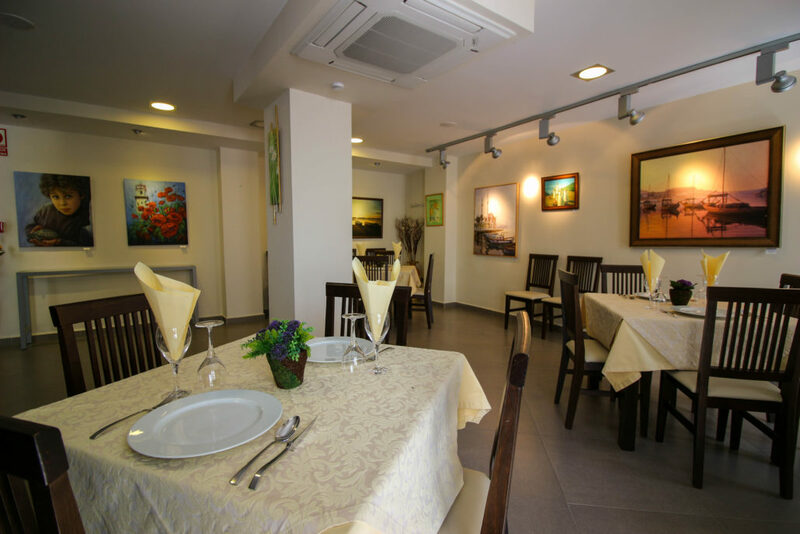 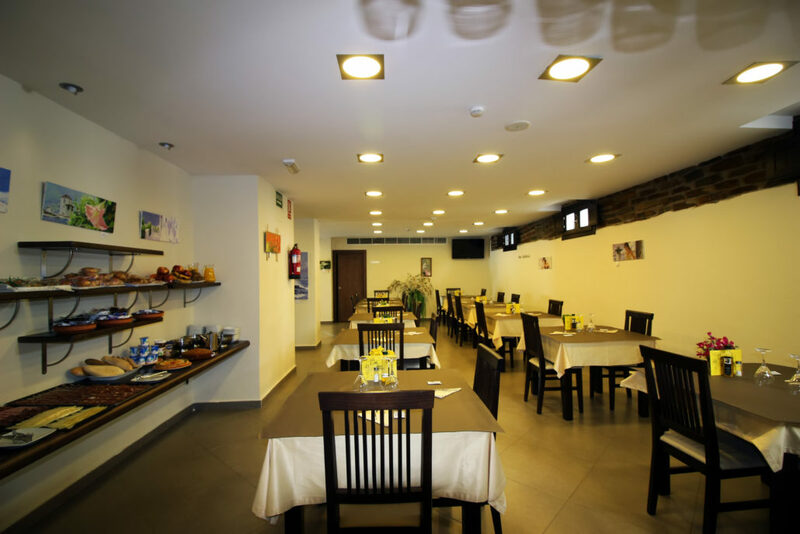 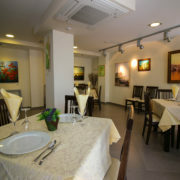 The hotel’s café-restaurant offers a wide variety of homemade dishes where you can Sample the gastronomy of Granada and the Alpujarra, as well as international dishes. 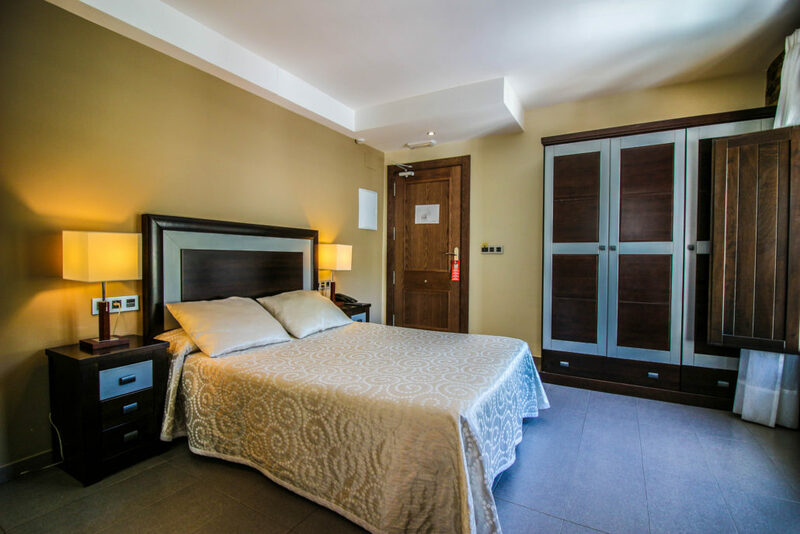 You can book your stay as bed & breakfast, half board or full board, or if you prefer, you can ask us to prepare a ‘picnic’ to take away. 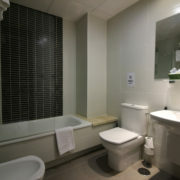 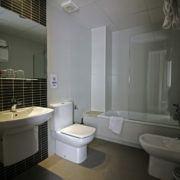 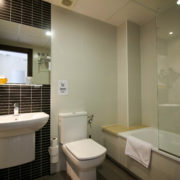 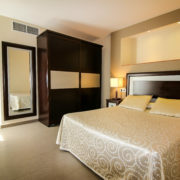 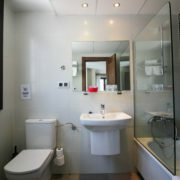 The hotel has free Wi-Fi in all of the rooms and a games room supplied with board games, newspapers and television. 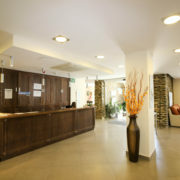 For a small charge, it is possible for guests to make use of the fax and photocopying facilites. 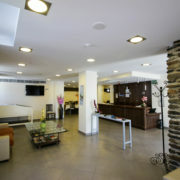 Summertime visitors can enjoy our swimming pool, solarium and summer terrace. 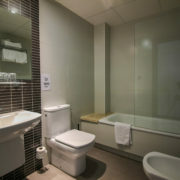 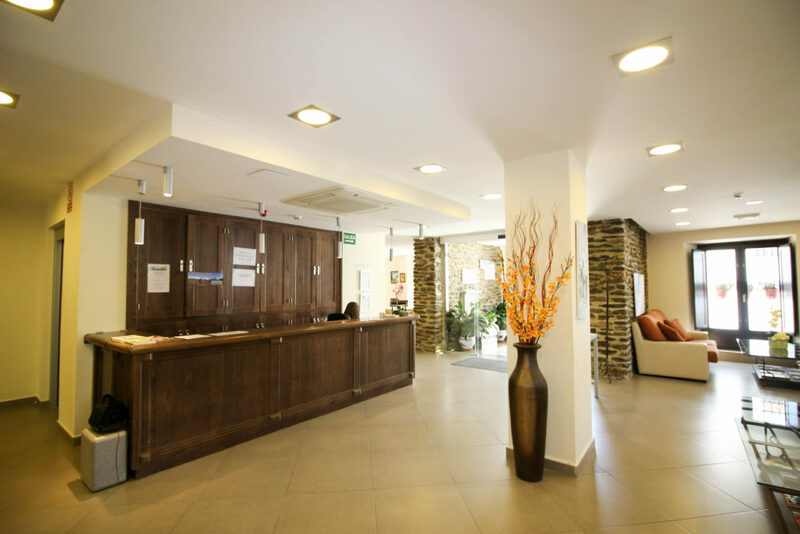 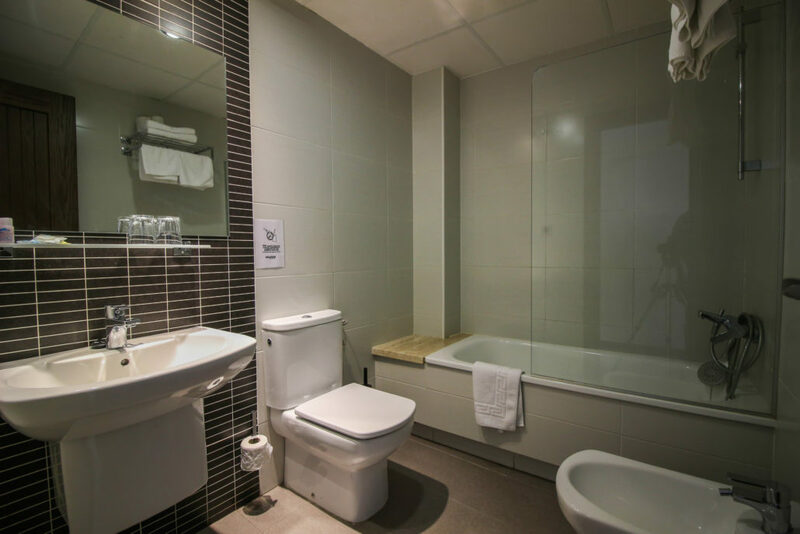 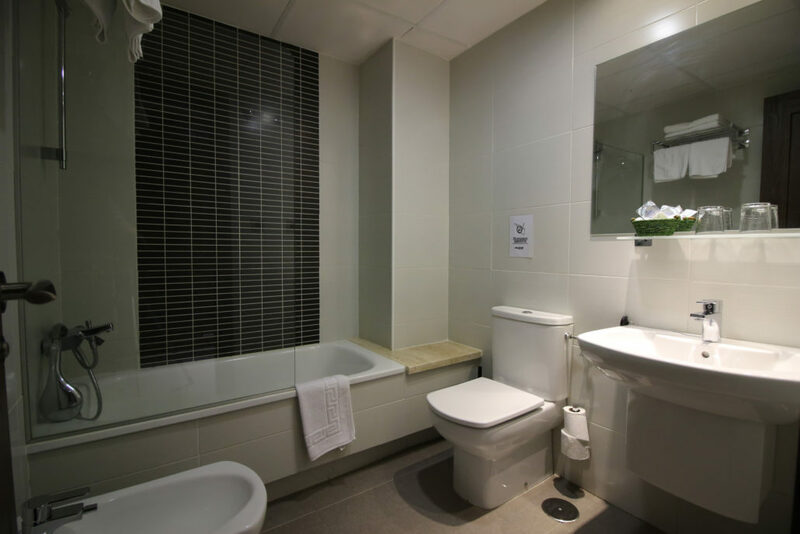 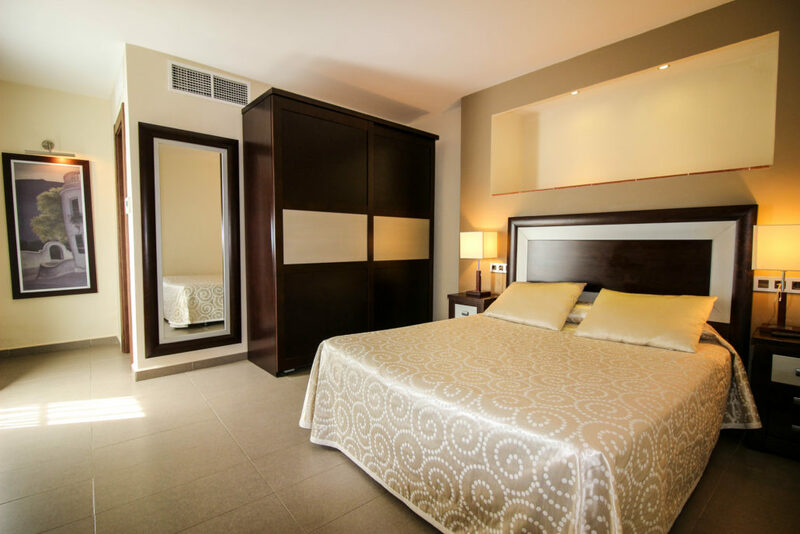 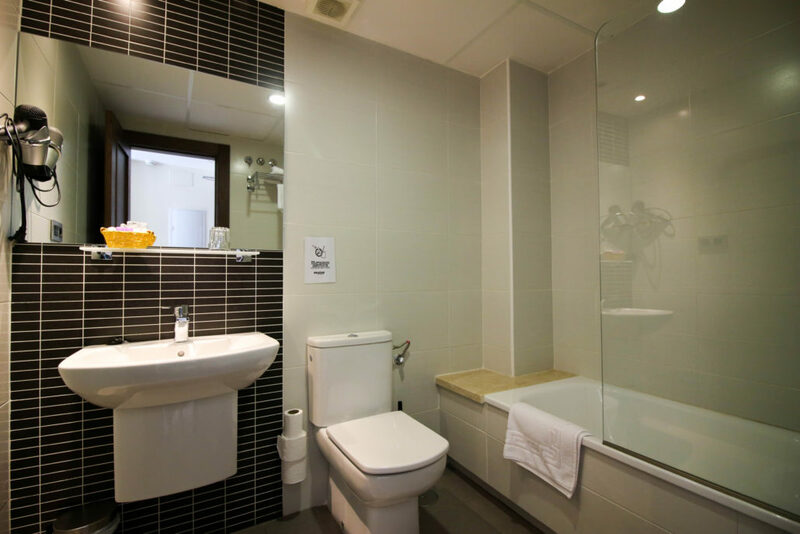 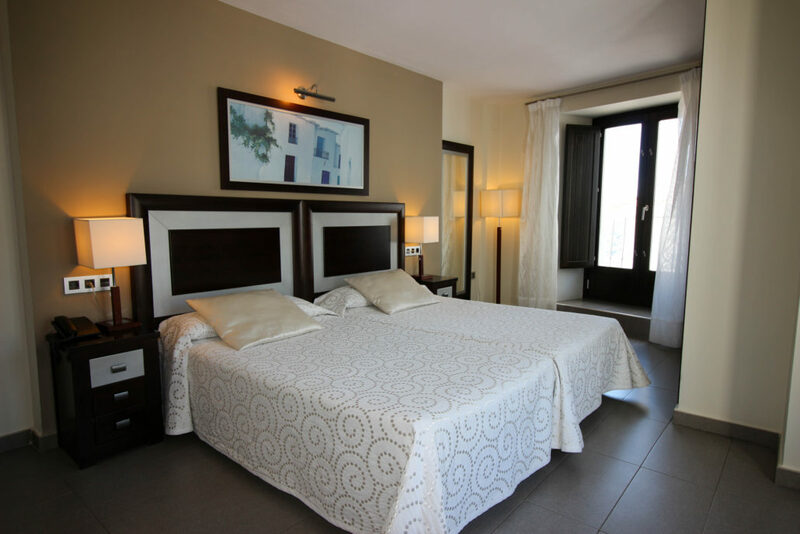 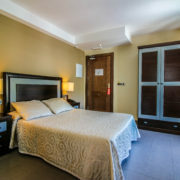 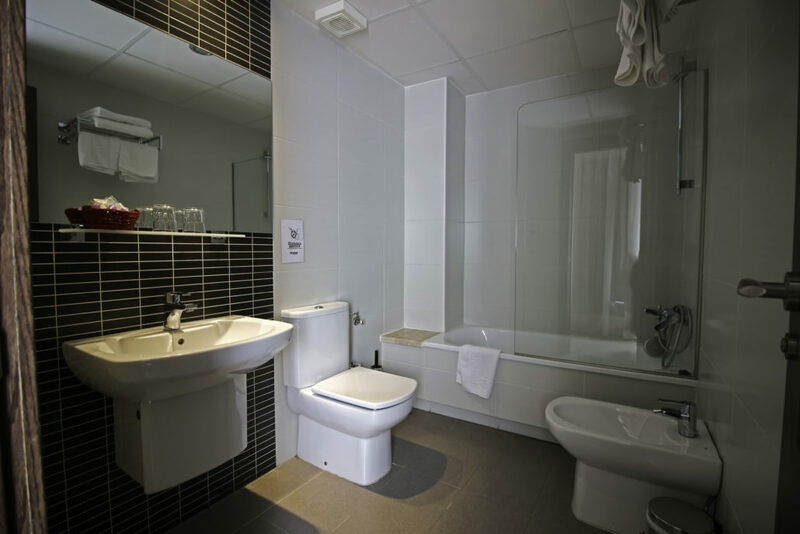 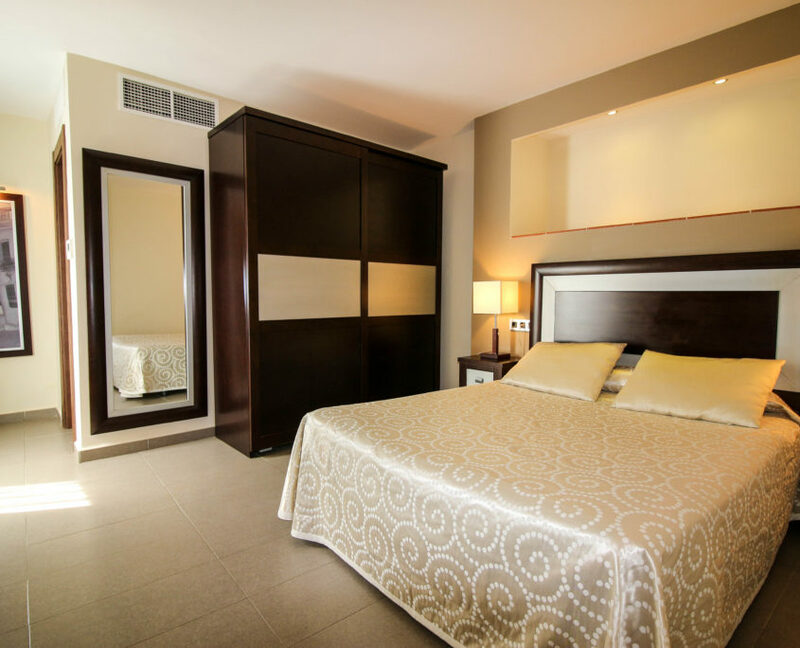 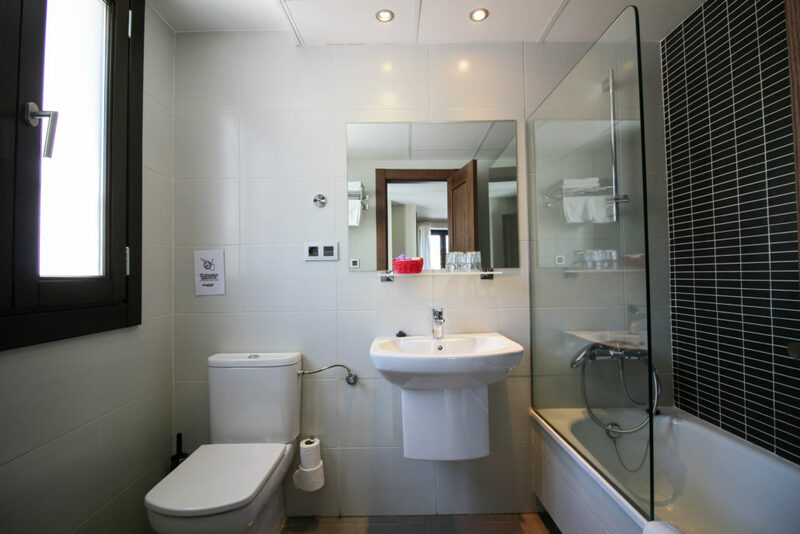 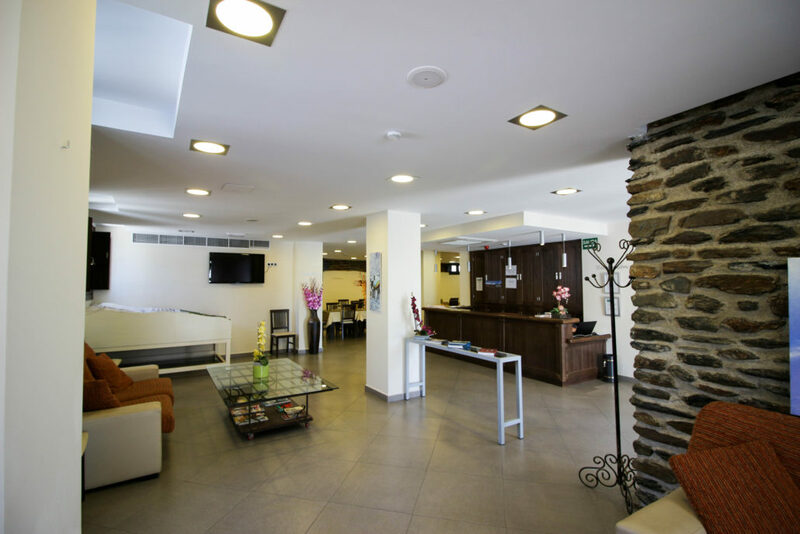 This modern hotel also has a room suitable for disabled people, facilitating mobility with easy access free of cumbersome architectural features, and there are two elevators to go up to the upper floors.